The paint is dry and most of the construction and build-outs are finally done! Pop in for our casual Open House from 3-5 PM (coffee/cookies), and stay for our Launch Party (apps/beer/wine) from 5-7 PM. We offer "no surprise" monthly rates (mo-to-mo or 6 mo leases) with 1 Gig Wi-Fi, receptionist, copying/printing, coffee/tea, 12 hours conference room/video production/podcasting/computer training space, a game room and more are all part of the FT coworking package with 24/7 availability. 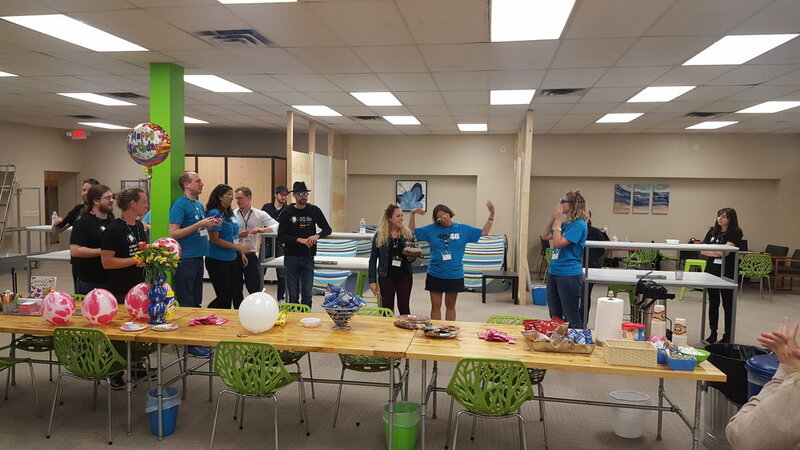 We also have private office suites for 1-40, training spaces for 8-300, and cool features like cabanas for breakout meetings, hammocks to chill in, private conversation "phone booths", a crafting area, and free giftwrap and greeting cards! We're not the office of yesterday--we're the workplace of tomorrow! You must CHECK US OUT by RSVPing now! RSVP FOR THE GRAND OPENING!